East Goscote is a medium sized village with a population of approximately 3000. The name was taken from one of the old Hundreds of Leicester. It is the first new village to be created in Leicestershire since Doomesday and is unique in the County. In 1962 Jelsons acquired the land to develop as a new village. The two large mounds dominating the playing field in the village were originally two blocks of a shell filling factory which later became a storage depot. The developers found that the structures were impossible to demolish and subsequently earthed over the blocks to become the now well known landmark on the playing field. The Parish Council offices are located in the centre of the village at the Village Hall. 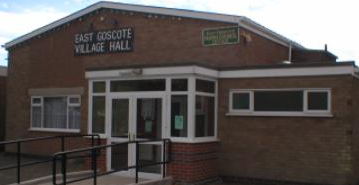 The Parish Council meet every second Wednesday of the month at 6.30pm, at East Goscote Village Hall. The agenda for the meeting is posted on the noticeboards. Parishioners are more than welcome to attend.